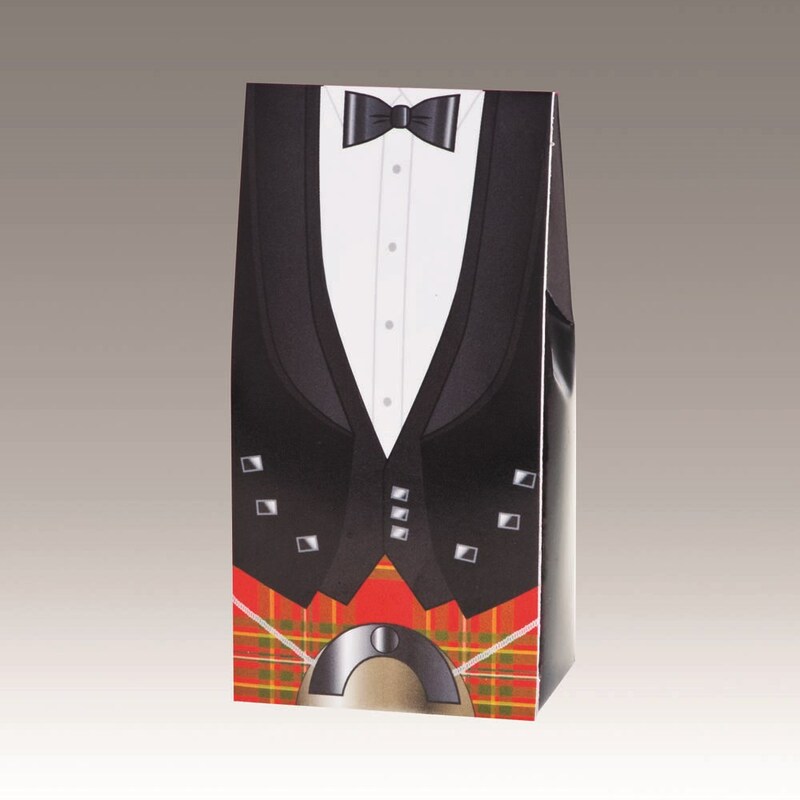 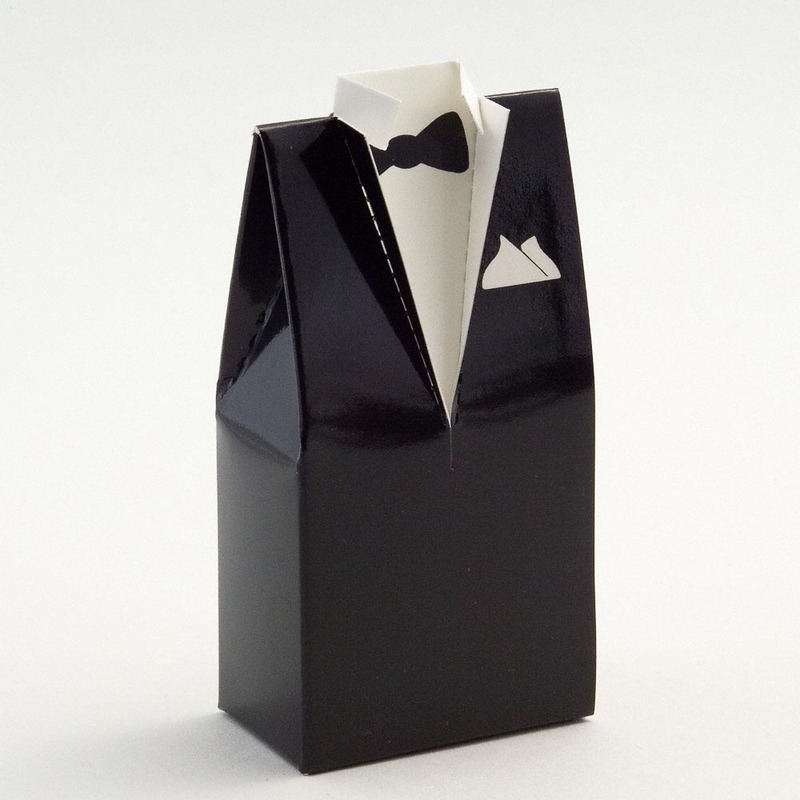 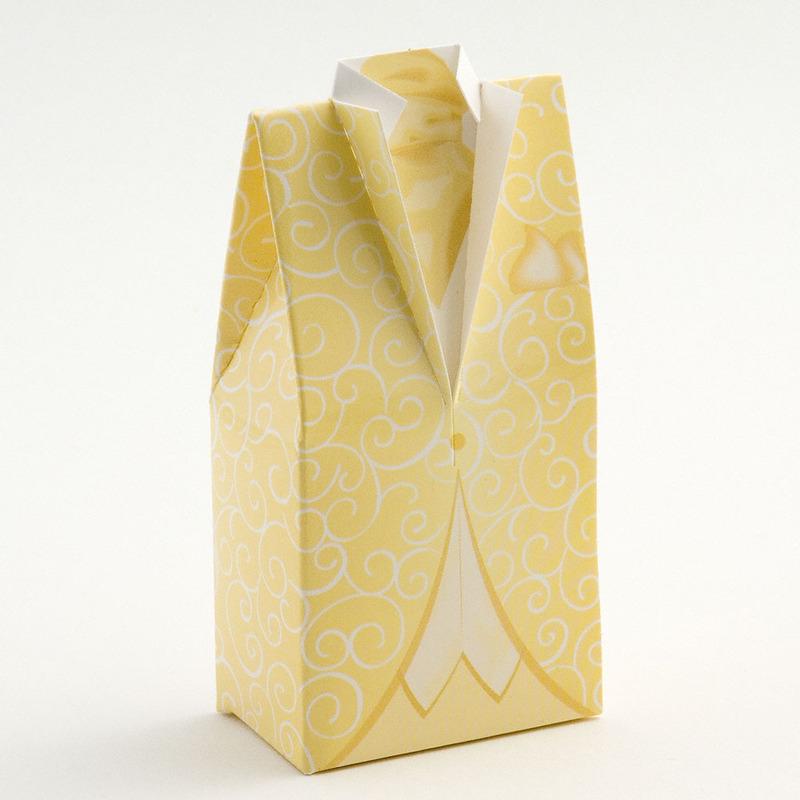 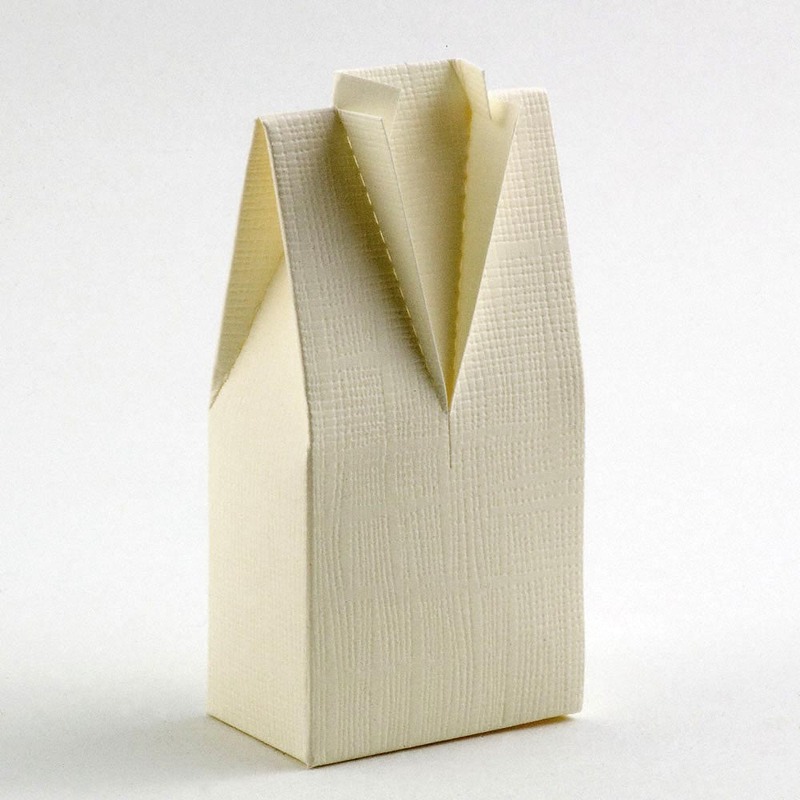 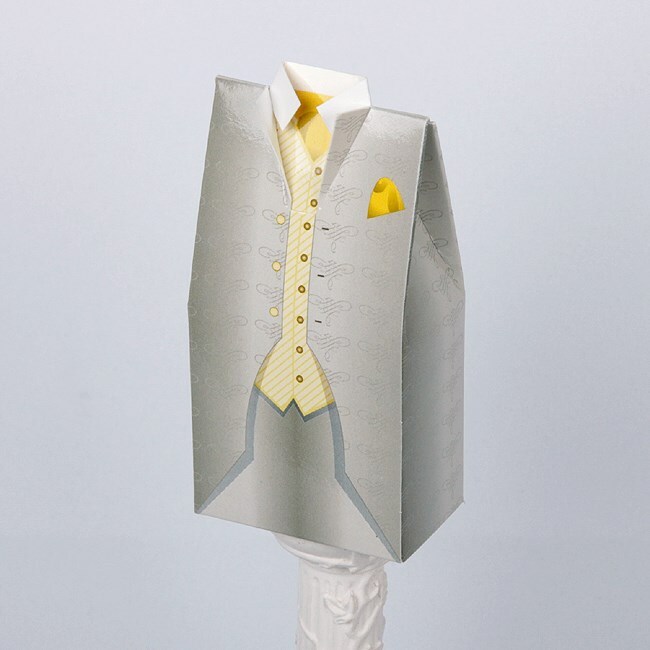 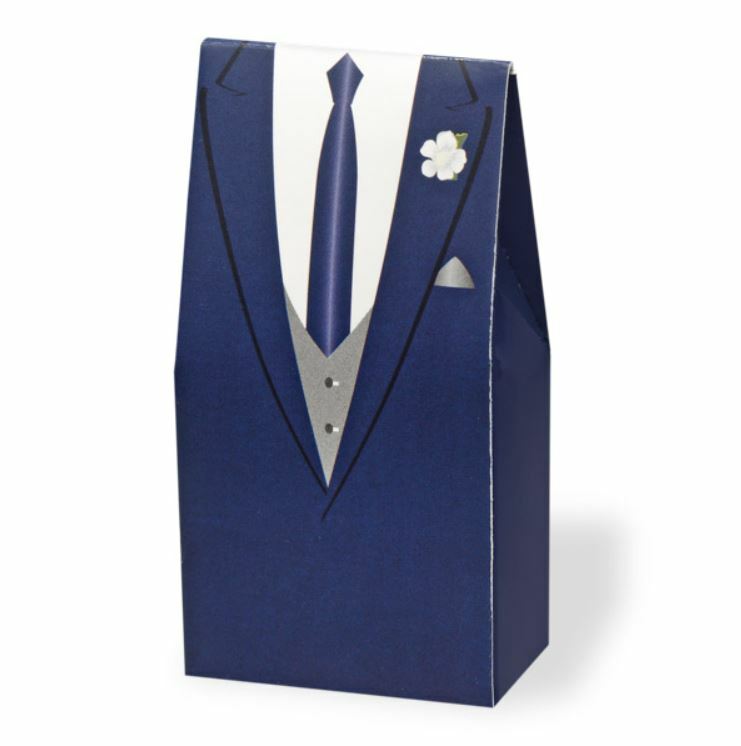 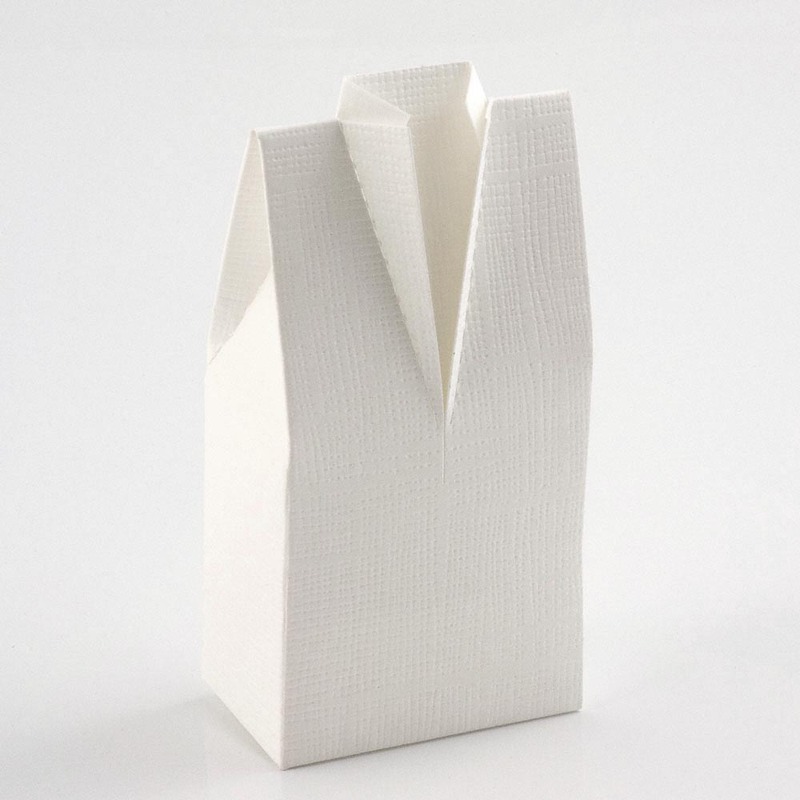 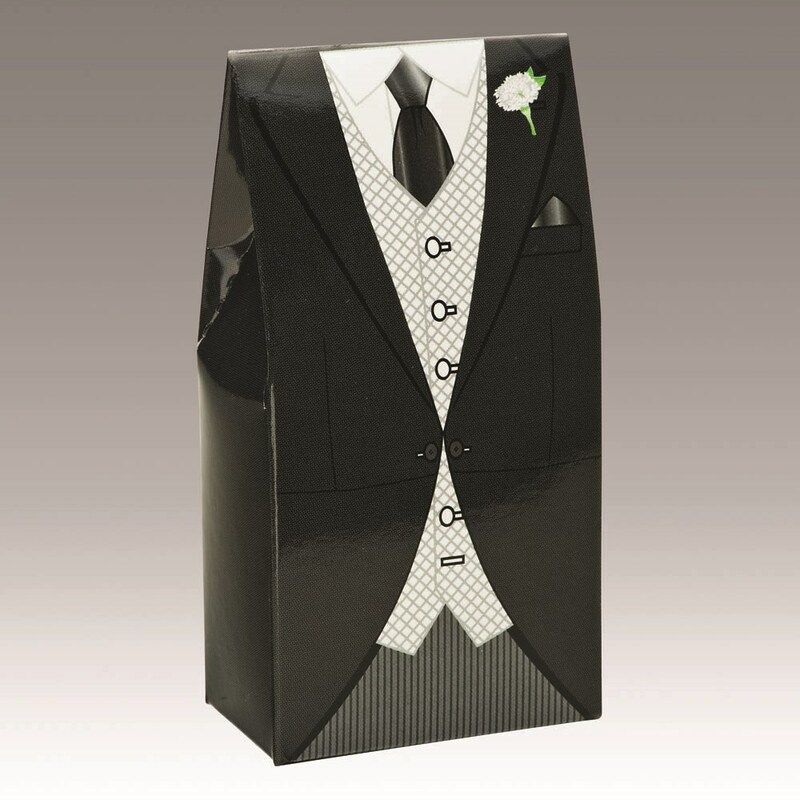 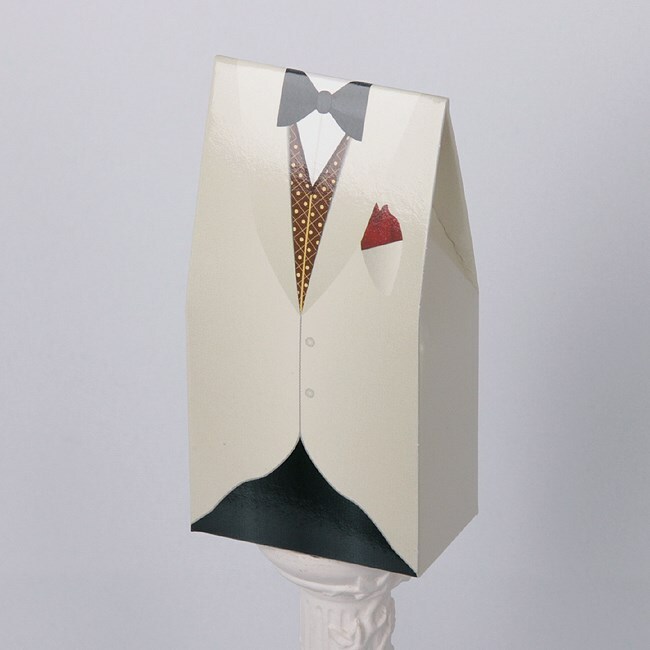 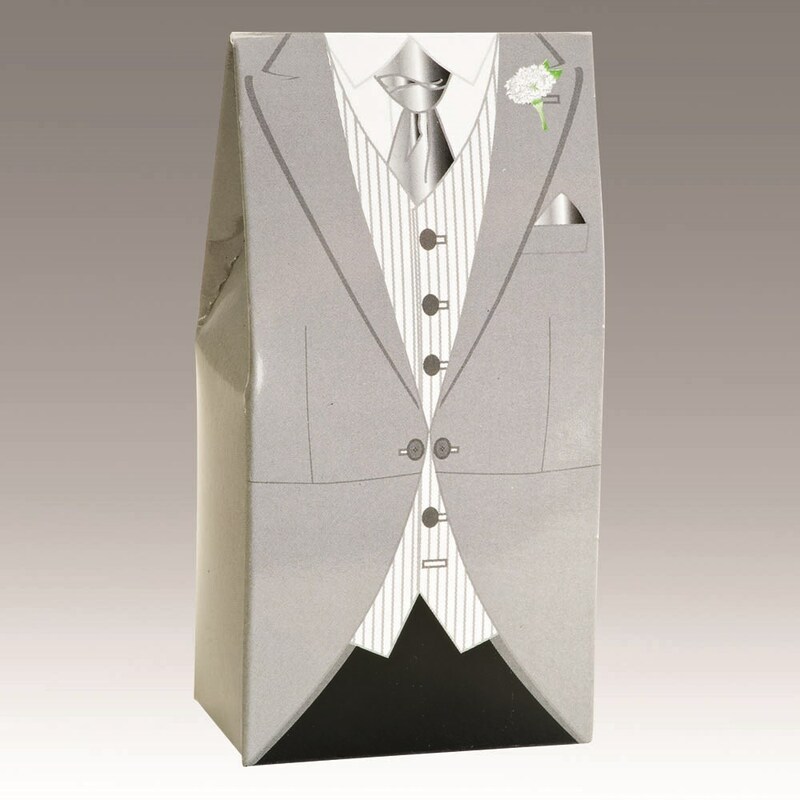 These tuxedo or dinner suit wedding favour boxes are commonly used for the gentlemen guests, with their clean cut lines, these favour boxes are a perfect masculine Wedding Favour. 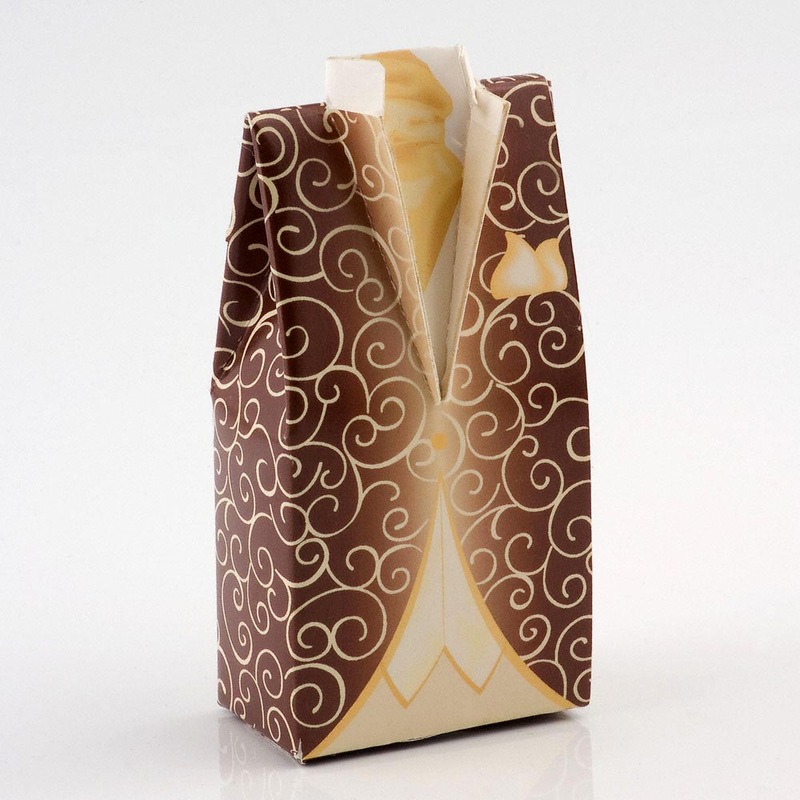 Fill with your own choice of confectionery 5 sugared almonds, dragees or make them extra specal by adding 5 foiled covered chocolate hearts or balls. 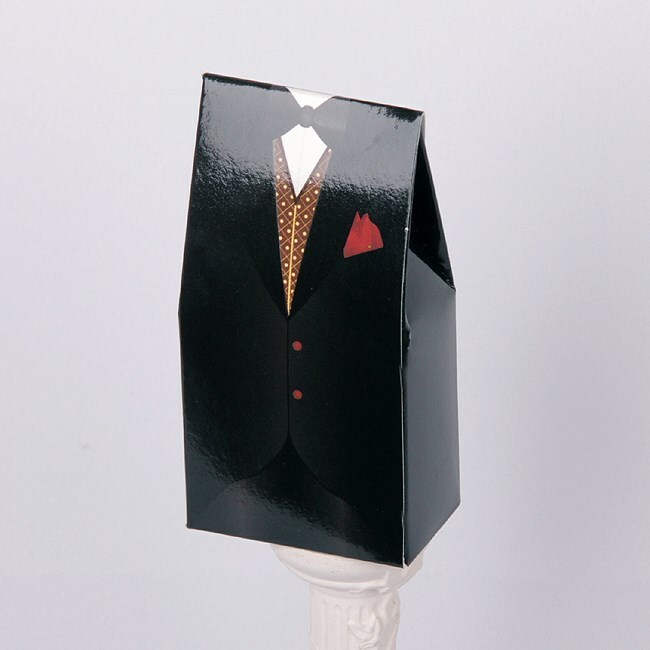 These items are supplied flat packed and without fillings.